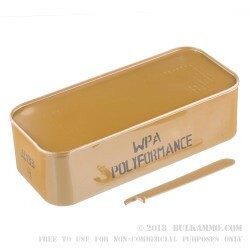 Wolf’s spam can is a cheap solution for bulk 9mm ammo and a great way to store rounds for an extended period of time. 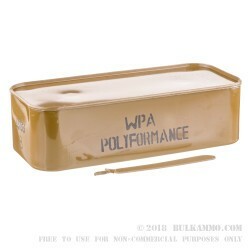 While you can never put a price tag on quality training, staying within your budget when buying ammunition can be one of the largest determining factors in consistently going to the range and improving your skills. 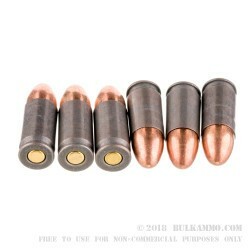 The Wolf 115gr 9mm Full Metal Jacket is the perfect round for high volume competition and self defense shooters, who on average can go through in excess of 2,000 rounds in a months time. The steel cased 9mm cartridges offer identical chamber pressures and extraction reliability as their brass counterparts, at less than half the costs, and Berdan style primers provide a reliable and hot ignition in any climate. 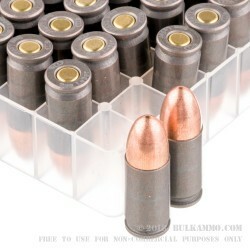 At a value price of buying 800 rounds in a single can, you can be sure you are receiving the most bang for your buck. The next time you head to the range to improve your skills, give the the Wolf 115gr 9mm FMJ a try, and your budget won’t be all that improves.